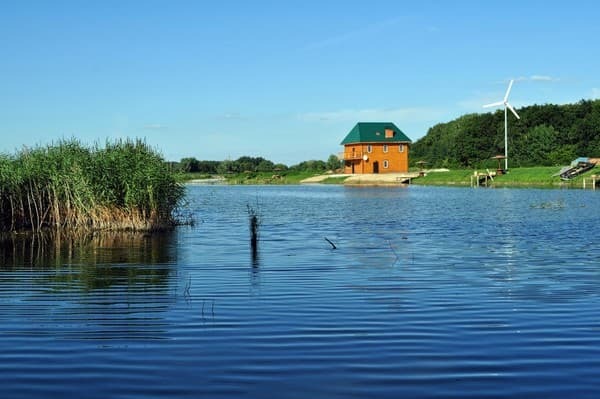 Complex "Shchedra valley" is located in a picturesque place, in close proximity to the forest and natural ponds, in the Cherkassy region, 120 km from the city. Kiev. 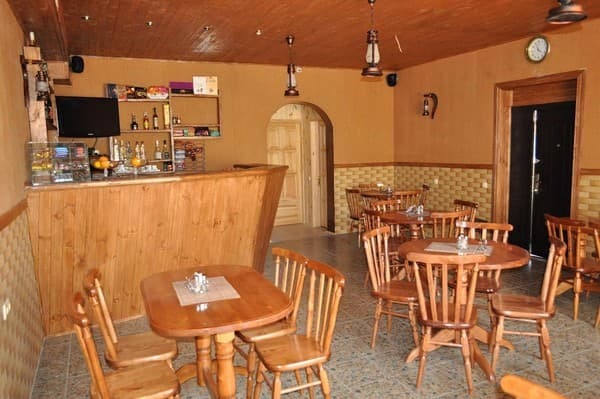 The hotel complex offers accommodation in comfortable rooms with all amenities in cottages made of natural wood. 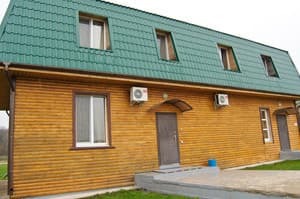 The guests are provided with a wonderful holiday: fishing, a sauna on the wood with access to the pond (billiards, recreation room, kitchen, living room), ostrich farm, sports field for mini-football, volleyball, badminton, table tennis, paintball, ATVs, tasty Ukrainian cuisine , exotic dishes from the ostrich. 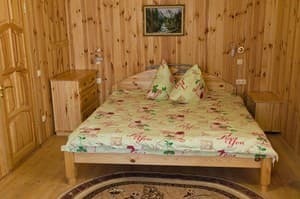 Description of the room: Wooden bungalows are located on the lake shore (without amenities). 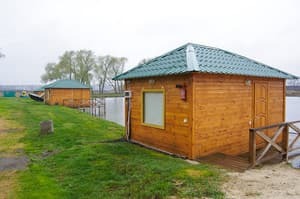 Ideal accommodation for fishermen. Two beds, table, fan. 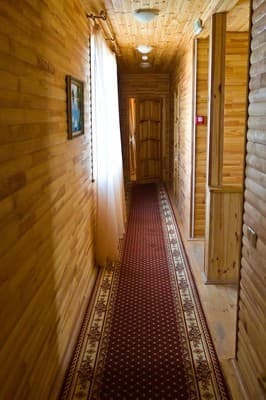 Description of the room: The room is decorated in natural wood. View from the window to the park area or to the lake. 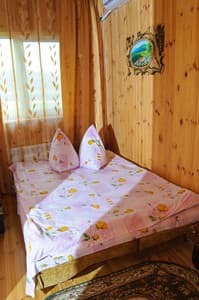 The room is equipped with a double bed. Description of the room: Double room with all amenities. The room is decorated in natural wood. View from the window to the park area or to the lake. It is possible to add an extra bed. 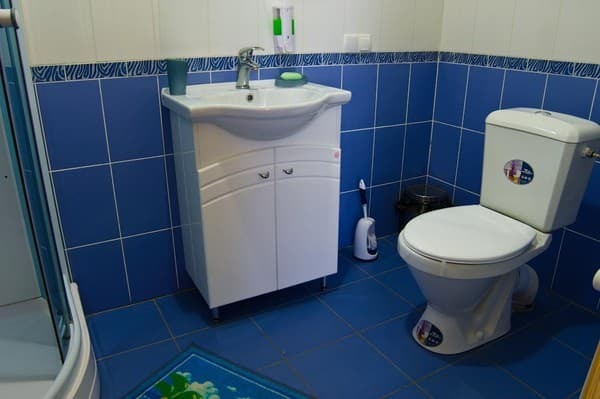 Description of the room: Triple room with all amenities. The room is decorated in natural wood. View from the window to the park area or to the lake. 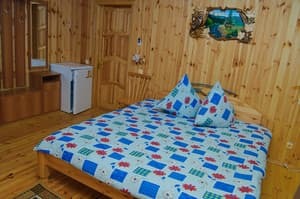 Description of the room: The cottage can accommodate up to 8 people. The cottage has a kitchen and a living room. 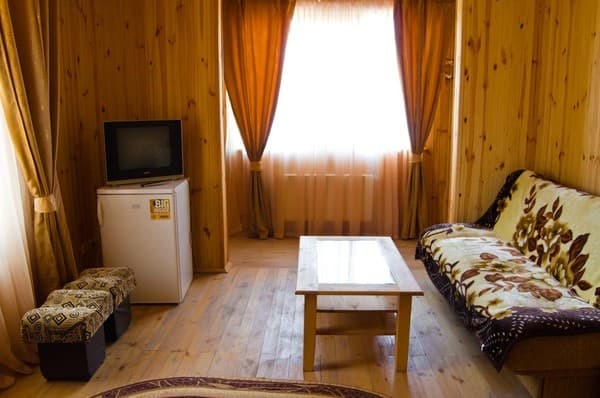 All rooms are decorated with natural wood. View from the window to the park area or to the lake. Nearby is a sports ground. огромное спасибо повару и администратору Марине. Check arrival: from 00:00 - 01:00 hours. Check leaving: to 00:00 - 01:00 hours. Children under 5 years old live with their parents free of charge. The cost of additional space is 75 UAH. The complex is located 120 km from Kiev, 93 km along the Boryspil - Zolotonosha highway. On the route there is an advertising medium indicating the direction to Shchedra Valley.